Today, customers from Romania were invited to visit Beston Group. They mainly learned about the continuous pyrolysis plant and watched the plant operating. Our sales team received them warmly and gave them detailed explanation on the fully continuous plant. The further cooperation issue is under discussion. 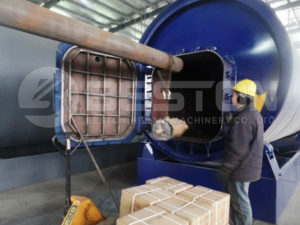 As a professional pyrolysis plant manufacturer in China, Beston Group has rich exporting experience. We have cooperated with customers from Brazil, Korea, Jordan, Nigeria, Ukraine, Turkey, Dominica and so on. We are actively expanding new markets and looking forward to cooperating with customers all over the world! Good News! 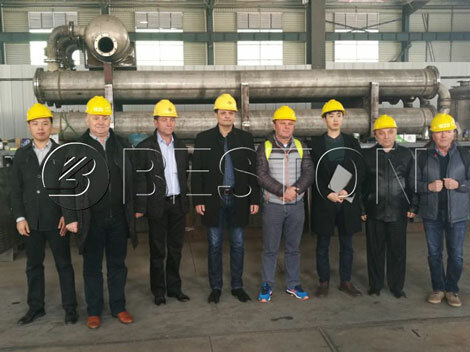 Australian Customers Cooperate with Beston for Buying Carbonization Machine!